← Former MLB Pitcher, Pascual Pérez, Has Been Murdered. That. 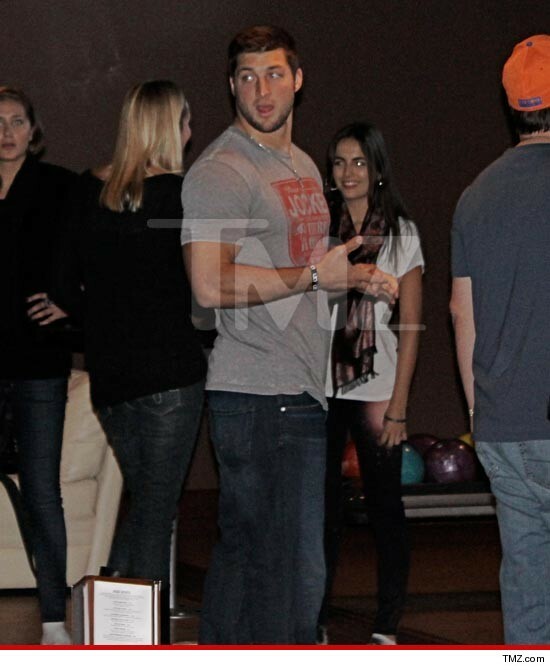 That picture right there… and random staffers at a bowling alley that said Tim Tebow & Camilla Belle were “holding hands and touching,” is all it took for every media outlet on the planet to report that they were dating. That’s freaking crazy to me. There are three girls in that photo that some joker snapped from his smartphone. TMZ puts up the photo, and all hell breaks loose in the media. That’s it… that’s all it took. So crazy to me. “TIM TEBOW IS DATING A VIRGIN CHASER!! !” “IS THIS THE LAST TEMPTATION OF TEBOW? !” “TIM TEBOW DATING JOE JONAS’ SLOPPY SECONDS!” This stuff is just crazy. Who knows if they’re dating. Don’t really care. Just cannot believe that’s all it took for every media outlet, even ones that consider themselves journalists, to throw all fact checking out the window… and run with a photo and the word of some bowling alley employees. If he is dating her… good for him… she’s hot. This entry was posted in Celebrities, Entertainment, Football, Media, News and tagged camila belle, camilla belle, camilla belle tim tebow, does tim tebow have a girlfriend, Tim Tebow, who is tim tebow dating?. Bookmark the permalink.